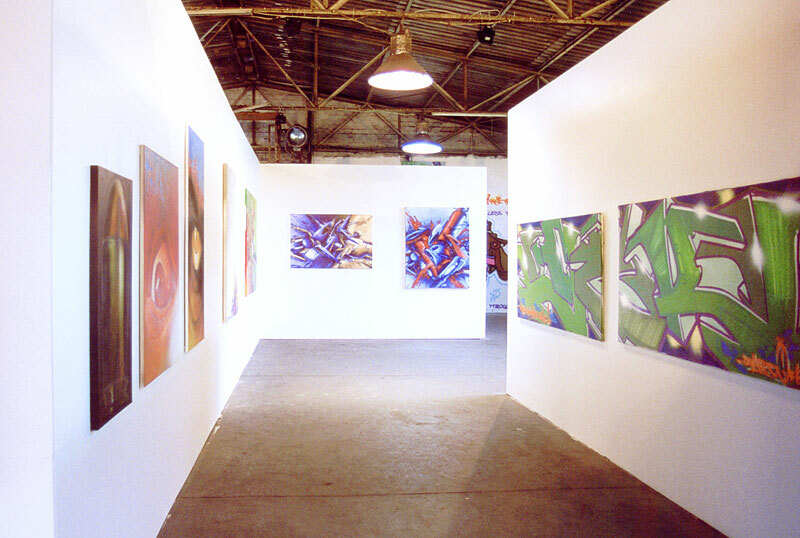 After the big success of the Urban Discipline 2000 Graffiti-Art Exhibition in Hamburg in 2000 showing 26 Graffiti artists from the USA, Brazil, England, Switzerland, France and Germany, the decision was made to establish the exhibition as a series. In a former skating hall, no effort was spared to build hundreds of square meters to be able to present canvases, sculptures and installations to a broad audience. In an open-air gallery, the artists created impressing murals that still can be seen today. The fans were able to test their skills and create some canvases themselves at the workshops. The catalogue "URBAN DISCIPLINE Graffiti-Art 2000" became a success in Germany and abroad and getting-up decided to edit more of them.